All legal residents of the United States of America, both employed and unemployed, have Social Security numbers. It is used in various transactions. It also serves as their primary identification. All of the information provided by an individual to their Social Security is important in any aspect. Say for example, if you changed homes or moved to another state because of work, or you purchased a new home. Regardless of what reason you have for moving, you must update your Social Security information. 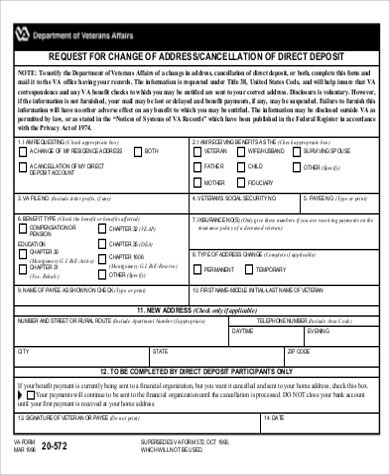 You need to fill out a Social Security Change of Address Form and have it submitted to the Social Security Administration near you. 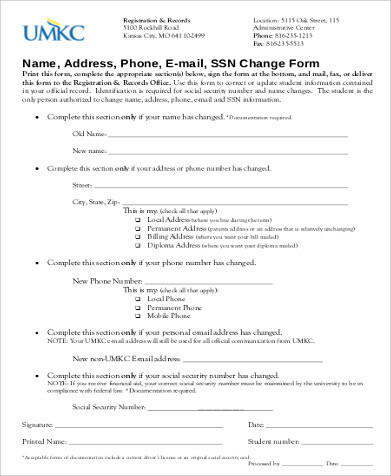 Sample Forms that you can use are provided below. Who Can Apply for Social Security? Social Security is a common term used in place of Old-Age, Survivors and Disability Insurance Program or OASD Program. All legal residents of the United States of America can apply for Social Security. 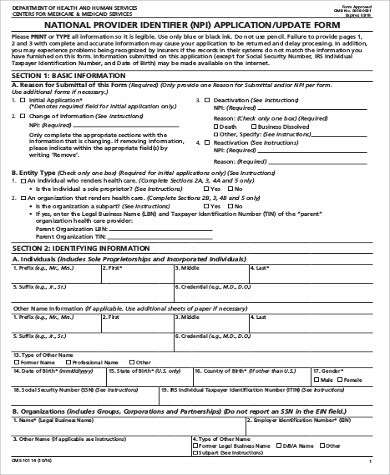 If you wish to apply for the Social Security Retirement benefits, then you may apply when you are already 61 years and 9 months of age. It is important that you apply for the benefits three months before you want it to start. People with disability can also apply for Social Security. Those with physical and mental impairments that are listed in the Social Security manual are automatically qualified. You can’t avoid paying Social Security taxes. It is just like paying your income taxes. There are exemptions for specific groups of people. For more information, please contact your Social Security Administration. Can You Opt Out of Paying for Social Security? Clergymen, like ministers, members of religious orders, and Christian Science Practitioners can opt out of paying for Social Security. They just need to fill out the IRS Form 4361. Early retirement benefits are available at the age of 62 years old. The full benefits are available at the age 66 for people born in 1943–1954 and at 67 for those born in 1960. 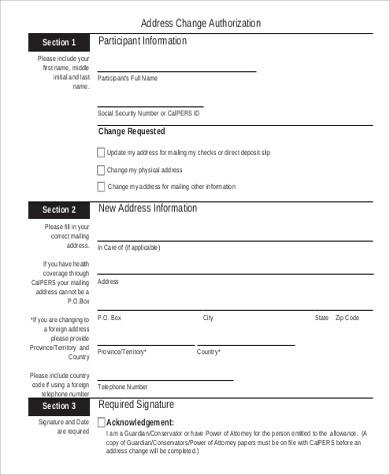 You may also want to check our Sample Social Security Name Change Forms. Retirement Benefits – You will be provided with monthly benefits when you retire. These benefits will replace a large portion of your pre-retirement earnings. Your spouse will also receive monthly benefits provided that you are married for at least 10 years. Disability Benefits – As mentioned earlier, those who are physically and mentally impaired automatically qualifies for the disability benefits. People who can no longer work because they have become severely disabled can also take advantage of this benefit. Survivor Benefits – Social Security can also be compared to that of a life insurance. Your family or your spouse and children are protected when you die. You are also protected when your spouse or parents die. 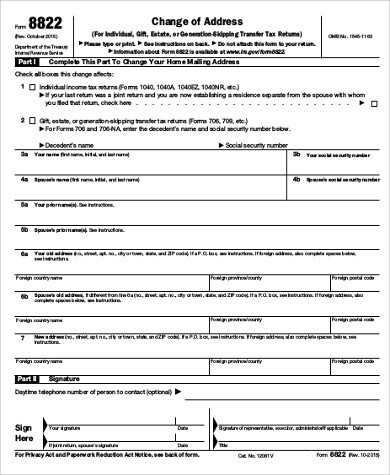 You can also see Sample Social Security Disability Forms. You are paying for your Social Security tax while you are working. The tax money will go to trust funds to support the people under the OASD program. Poverty among the elderly has reduced with the help of Social Security. It does not only help the senior citizens but also the people who are severely disabled, retirees, and when one’s parents or spouse dies. It works for all American citizens. Failure to update any information on your Social Security records may cause problems when it is about time for you to use the benefits. 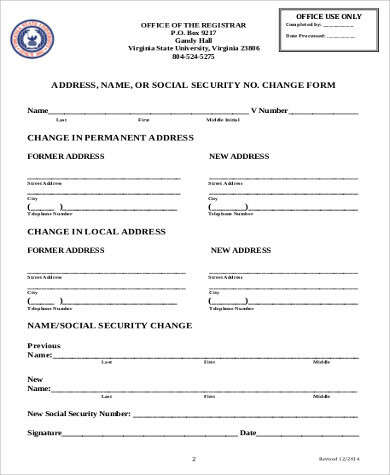 You can download our social security change of address forms for this important task. Download now!